During the day, the terrorists fired 44 times the position of the military in Donbas. Over the past day, Russia-backed militants 44 times opened fire on the positions of antiterrorist operation troops in Donbass, the ATO press center reported on 28 July. In the Donetsk sector, there were 16 counts of opening fire. The separatist militants used 120- and 82-mm mortars prohibited under Minsk agreements, and fired rocket-propelled grenades, heavy machine guns and small arms at the ATO positions near Avdiyivka. "On July 27, at about 11:30 am in Avdiyivka, Ukrainian reconnaissance group entered into combat contact with enemy saboteurs. After the encounter that has lasted for about an hour, the terrorists were forced to retreat," the report says. In the area of the villages of Zaitsevo and Novoselivka-Druha, separatists used grenade launchers, in Novhorodske - armoured vehicles weaponry, and in Luhanske - rocket-propelled grenades, heavy machine guns and sniper rifles. In the Mariupol sector, the ATO troops saw 10 violations of the ceasefire. In particular, the opposite party shelled the ATO strongholds in Starohnativka from the 82-mm mortars. Rocket-propelled grenades and heavy machine guns were used in Vodiane, a tank fired in the vicinity of Mariyinka. Small arms were employed outside Shyrokyno. 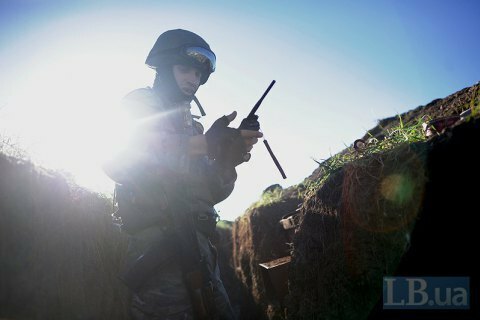 In the Luhansk sector, militants 18 times shelled Ukrainian troops from 82-mm mortars near the villages of Novozvanivka, Novooleksandrivka, Bohuslavske, Krymske and Velyka Kosharna. The enemy used rocket-propelled grenades at Popasna and Lopaskyno. None of Ukrainian soldiers died on July 26 in the ATO zone but three were injured.